There are a couple of ways to make this work, and exactly what you decide to do depends on exactly what you want to accomplish in the end and how limited your budget is. For the purposes of this tutorial, however, we will be going the distance and setting up our own wireless access point which is connected to the neighbor's public access point down the street via a wireless ethernet bridge. This will give you wireless signal in your home by using your own access point, and the internet uplink will be provided by your wireless ethernet bridge which is linked up to the neighbor's place or public hotspot down the street. 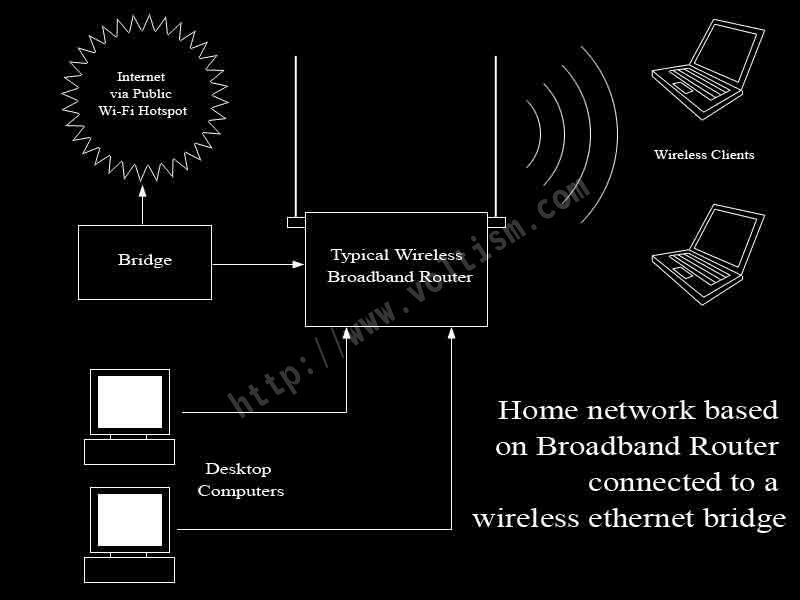 Please see the following diagrams which detail a typical home network configuration using a nearby Wi-Fi signal as the internet connection.